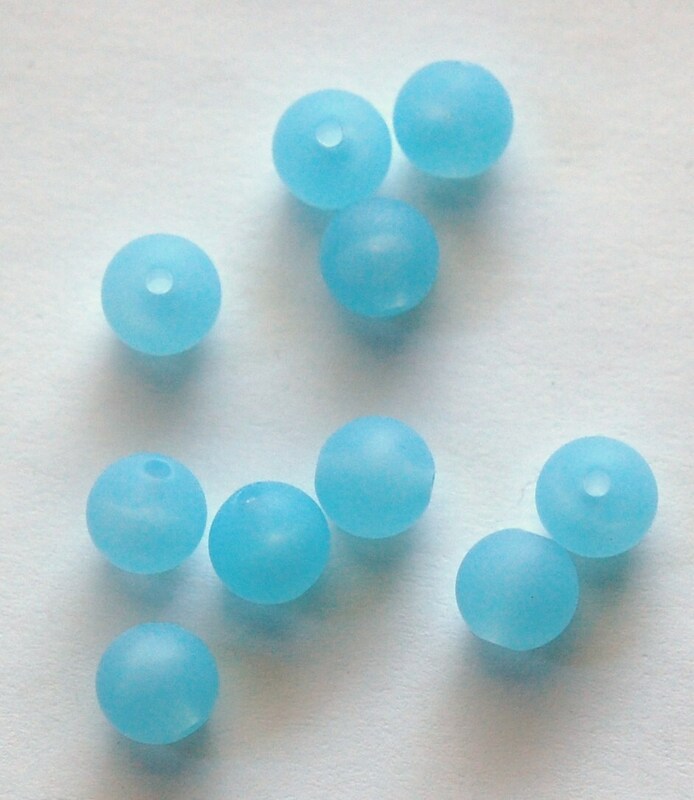 These are vintage matte finish acrylic beads. 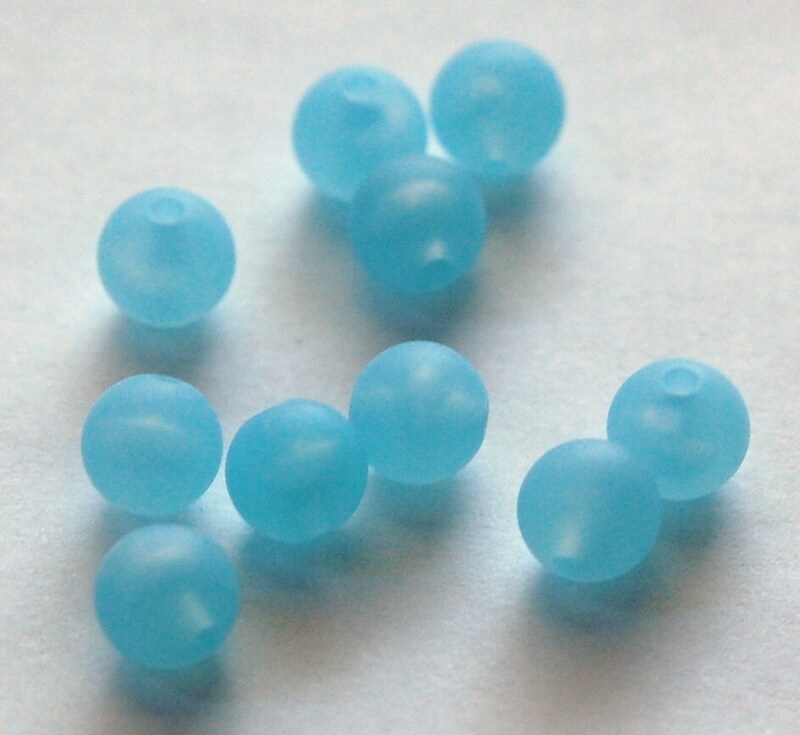 They are light blue in color. These measure about 7mm. You will receive 10 beads.